This is our final post in the Sketchfab Rockstar series which focuses on how to reach a larger audience for your work on Sketchfab. In this post, our we’re talking about some ‘growth hacking’ techniques to help you increase your audience. 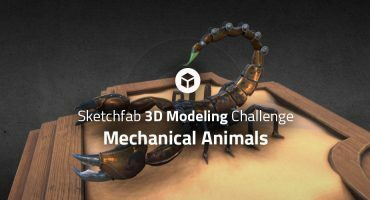 A simple strategy can help you build an audience on Sketchfab and increase your number of followers, views and likes. Improve your “street cred” with other artists and potential recruiters. It’s all about optimization and marketing. Get ready to hack your audience and become a 3D Rockstar! We have an extensive list of platforms where you can embed your interactive 3D models. By sharing your models on those platforms you will find new fans and multiply your views. 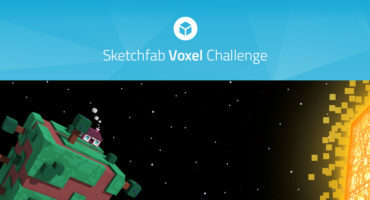 In addition, artists who like your work will be encouraged to join Sketchfab and follow you. They want to be inspired by your next creations and won’t miss this opportunity. Social networks such as Facebook, Twitter and LinkedIn are great platforms to increase your audience. Don’t forget to add your twitter handle in your Sketchfab profile settings. An @ mention will be automatically added to anyone sharing your work on Twitter. Exactly as YouTube artists do, you can develop cross-promotion partnerships with other artists. If you both have a similar audience, why not combine your efforts? You can promote each other’s work and grow your mutual fan base. It’s a win-win situation, as you will both increase your visibility. Why not start today? 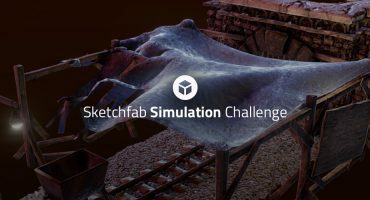 You can find artists on Sketchfab, 3D art forums and in the social network groups above. You can also find Sketchfab users on Twitter by searching for “skfb”. Pro tip: Add a custom background to make your models even more catchy. You can receive a free PRO account to do so, simply by inviting 5 friends on Sketchfab.